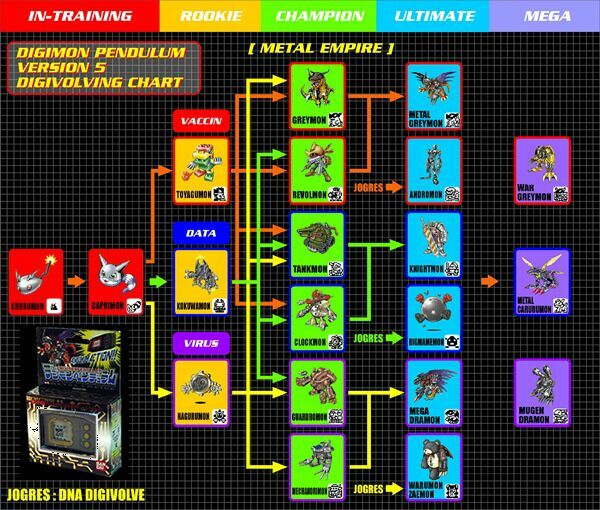 Digimon Pendulum Metal Empire (デジモンペンデュラム 5.0 メタルエンパイア) is the fifth version of the Digimon Pendulum virtual pet. This Pendulum includes the first edition 5.0 and special edition 5.5 featuring a slightly altered cast of Digimon. 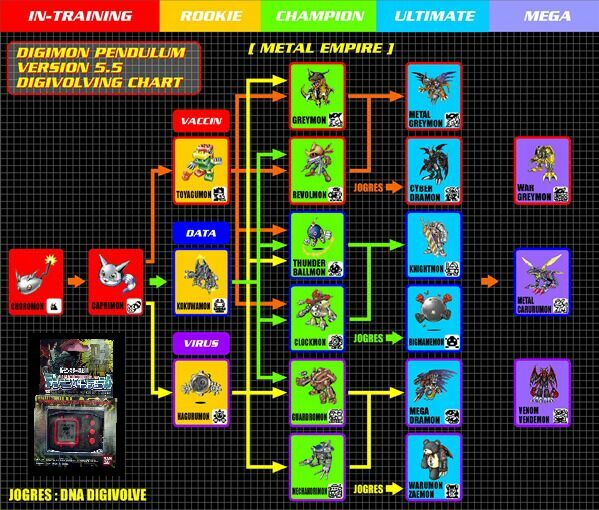 Greymon/Revolmon: 2 or fewer Care Mistakes, Win Ratio 40% or higher, Training 40+ times, Battle 30 times. Tankmon (5.0)/Thunderballmon (5.5)/Clockmon: 4 or less Care Mistakes, Win Ratio 40% or higher, Training 40+ times, Battle 30 times. Guardromon/Mechanorimon: 1 or less Care Mistakes, Win Ratio 40% or higher, Training 40+ times, Battle 30 times.